Q: I am a PAYE person with two investment properties. What tax returns do I need to make to the Revenue? A: If you have investment properties and are earning rental income you will need to register for income tax and file a form 11 return each year. If you started renting your properties in 2014, you will have to file a return and make the relevant tax payment by the latest 12 November 2015. At this point you may also be required to pay an additional amount referred to as preliminary tax. You will be taxable on the overall rental profit from both properties. 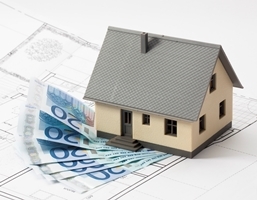 Therefore if you make a loss on one property this can be used to reduce the profit on the second property. In order to calculate your rental profit you must first take your rental income for the period, then deduct costs incurred on the property such as general repairs and maintenance, accountancy fees, letting agent fees and 75% of the mortgage interest paid in the year. You will also need to ensure the local property taxes (LPT) are paid on these properties as well as registering your tenants with the Private Residential Tenancies Board (PRTB). The Irish water charge on the property will also be due for payment, however you can insist that the tenant pays this by asking your letting agent to insert a clause in the lease agreement.